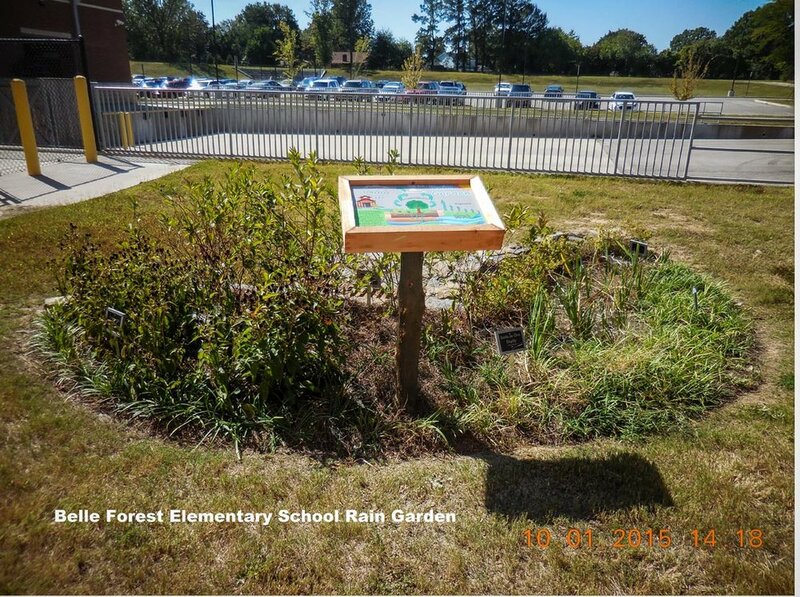 A rain garden is a low-lying planted area that is sustained by rain (storm) water. It has layers of soil, sand, and rock underground to imitate the hydrologic process of a small wetland. Cities have a lot of hard (impervious) surfaces like rooftops, sidewalks, and parking lots that will not absorb storm water. The flow of this water across those surfaces is called runoff. Runoff often picks up pollutants as it travels across these areas which can be carried to our creeks, rivers, and watersheds. Rain gardens slow the polluted storm water flow by allowing it to pool and infiltrate through the rain garden layers. 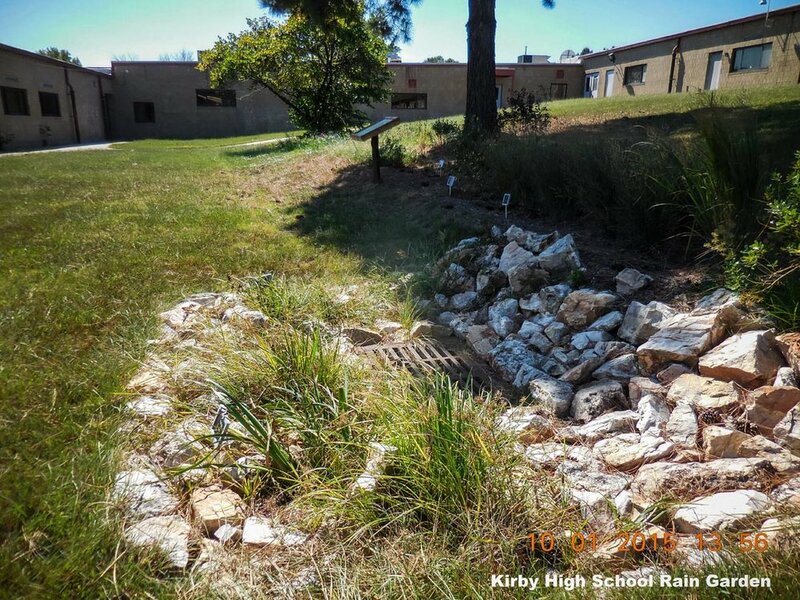 The plants in a rain garden and the infiltration process help remove these pollutants and release cleaner water into the watershed. 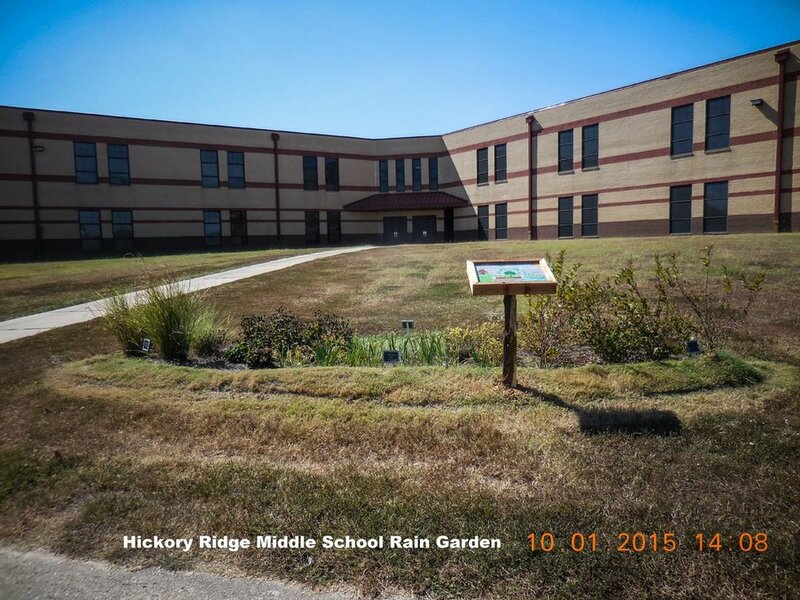 Rain gardens assist in the management of storm water, help improve the quality of watersheds, and compliment the water cycle and native habitats that are often negatively impacted in urbanized areas.